Is Morris Animal Foundation a nonprofit organization? Yes, Morris Animal Foundation is a 501(c)3 charitable organization headquartered in Denver, Colorado, USA. Since our founding in 1948, we’ve invested over $118 million toward more than 2,600 studies that advance the health and well-being of animals around the world. 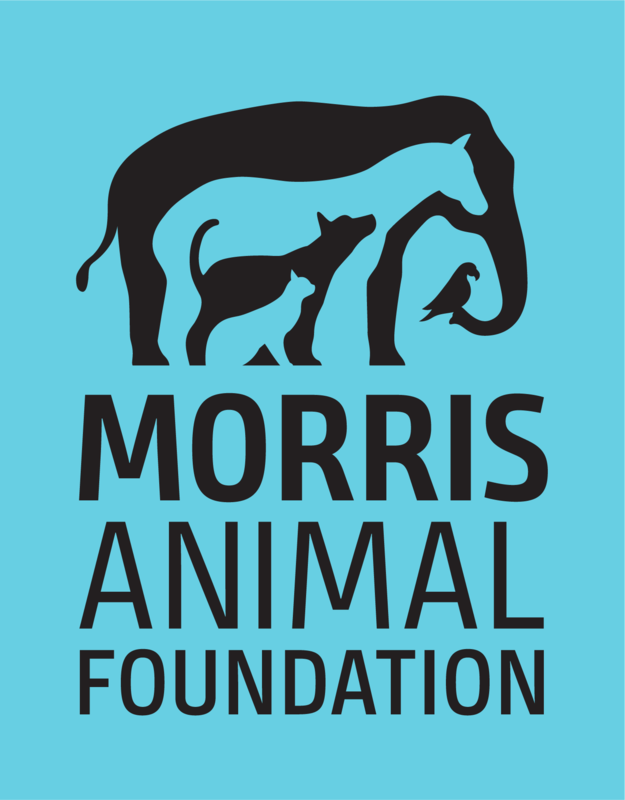 What does Morris Animal Foundation fund? Morris Animal Foundation funds the best animal health research taking place around the globe to benefit and improve veterinary care for dogs, cats, horses and wildlife and save animal lives. Our scientific advisory boards review grant proposals received from scientists worldwide. At any given time, we are funding 200 to 250 projects. Do you conduct any research at your facility? We have internal and external research projects. Our Golden Retriever Lifetime Study, which began in 2012, is the largest study ever conducted in veterinary medicine and is the first study established and run by the Foundation itself (and currently our largest internal research project). The majority of our funded studies are conducted at accredited veterinary schools around the world by researchers who are experts in their field. Other funded research also is conducted by zoological parks, aquariums and established animal health-focused organizations, including conservation groups. Can I get veterinary advice for my pet from Morris Animal Foundation? Legally, we cannot diagnose or recommend treatments for your pets. However, we do share breakthroughs resulting from our funding with veterinarians and the general public. You can sign up to receive these updates via email. For veterinary advice about a specific animal health problem your pet may be experiencing, contact your veterinarian, a local veterinary organization or the nearest veterinary teaching hospital. I need a new veterinarian. Can you recommend a veterinarian in my area? Can you help me pay my veterinary bill? Unfortunately, no. The money the Foundation raises through donations solely funds veterinary health studies at accredited institutions around the world. However, there are many other organizations that can help cover the costs of veterinary bills.The Humane Society of the United States lists national and state resources for pet owners in need. For international resources, please contact your local shelter, veterinary organization or veterinary college to find a reputable charitable group near you. How do I find and enroll my pet in a clinical trial? To find a clinical trial about a specific pet health issue, visit the Searchable Clinical Trials Database by the AVMA Animal Health Studies Database (AAHSD). Morris Animal Foundation-funded clinical trials are included on this site. I am having a difficult time with the death of a pet. What resources are available to me? If you need immediate support dealing with the loss of a pet, call the ASPCA Pet Loss Hotline at (877) GRIEF-10 within the United States. For international resources, contact your local shelter, veterinary college or veterinary organizations for a list of pet grief counseling groups in your area. Learn more about understanding how we grieve and how our surviving pets grieve. I need more information on a specific condition my pet has. What resources are available? A good place to start for pet health information is your family veterinarian. Our Stories& News page, searchable by species and topic, provides information on current findings and ongoing research in animal health research. And the following resources also provide up-to-date information on diseases and how to care for your pet. Can I contact Betty White through your Foundation? If you would like to honor Betty, please follow in her footsteps and make a donation to Morris Animal Foundation so together we can help even more animals in more places have longer, healthier lives. Every animal is Betty’s favorite!